Below is a link to an newsletter that describes a pipe organ restoration currently underway at the Fratelli Ruffatti factory. 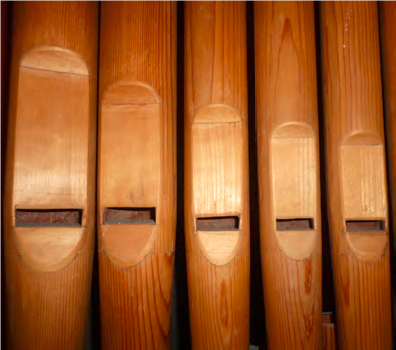 This organ is of exceptional historical relevance as It is one of the most rare and intriguing pipe organs to be found anywhere, with cylindrical pipes made of wood. It is believed that the organ was originally built in the early 1800’s and is located in the eastern Italian Alps. The Newsletter also shows many images of the new, 5,500-pipe organ currently being installed at Buckfast Abbey in Devon, England. This instrument is not a “period” instrument, but an organ without boundaries, suitable for choral accompaniment, support of the liturgy, and solo use in a variety of musical styles.